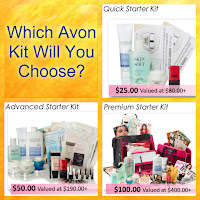 Starting an Avon business is very affordable. The basic start up kit is only $25. The Advanced Kit and the Premium Kits are only $50 and $100 respectively. As you are building your business you will be investing in tools to help you do that but how much you invest will be based on your personal budget and goals for your business. If you are just looking for a little extra income you will only be buying a few brochures a campaign and should be able to pay for those out of your profits and they will not necessarily be an out of pocket expense. If your goal is a bigger income from your Avon business then you will need to invest more and may be using all of your profit and potentially investing some additional funds as you build your business. If you are on a tighter budget and can not invest a lot beyond the $15 you can still build a bigger business, you will just have to be a little more strategic about how your use your brochures and it may take longer to build your business to the income level that you want but it can still be done. How much time you need for your business will depend on what your goals are for what you want to get out of your business. The more you want to get out of your business the more time you'll need to put into it. If you are looking for a little extra income, say a couple hundred dollars a month, then you will be able to fit most of your business activities into your regular routine with just a few hours every week to take care of processing orders. Every representative gets a free online store which offers direct delivery so you can save time on deliveries when your customers order online. If you are looking for a more substantial income you will need to set aside more time each week to focus on building your business. I have learned a lot of time saving tips over my 20 years as a representative and I'm happy to share those tips with your and help you make a plan to focus on the business building tasks that will bring you the biggest return for your time. 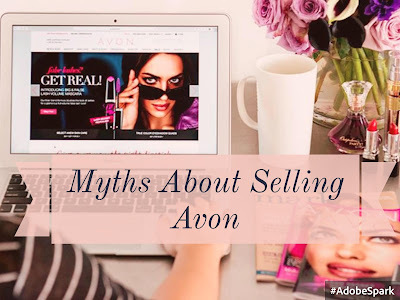 One of the best things about Avon is that we do not have sales quotas, and we do not require, or really encourage representatives to keep an inventory. You can be successful by only ordering the products that your customers order, and you only need an order of $50 each campaign to earn commission. We do offer advance order or stock up opportunities and product bundles, but there is no requirement to purchase them to remain a representative and whether you take advantage of these offers will be determined by your individual situation and customer base. We do encourage demonstration products and samples but how many and what type of demos you use will depend on your customers and how you interact with them. For example if you are selling mostly to coworkers at your primary job your demos will be limited to things you can wear such as jewelry and makeup or a hand cream you can leave in the employee bathroom for your coworkers to try. But if you are able to stop and chat with your customers for a few minutes you can carry a new fragrance or skin cream for them to try, or a few jewelry items to show them. Even if you are doing parties or events, which are not required, you have complete control over how much you invest in demos or on hand products to sell at the events. I personally recommend a small selection of products to demonstrate at your event and focusing on sharing brochures and getting contact information for the new people you are meeting. If you are wanting to do cash and carry sales at an event start with only a small quantity of a few key products. If you continue doing events you will learn what products will sell if you have them and can adjust your inventory as you go. Samples are also great tools for helping to build your business but do not need to invest a lot in samples, in fact you can build your business without them if your budget is tight but even an investment of a couple of dollars a campaign* can increase sales if you use the samples effectively. Of course Avon is known as a beauty company but you don't have to wear a full face of makeup every day or be an expert in skin care. Avon has training available on our product lines so you can learn as you earn. We have tools on our websites and in our brochures to assist you with helping customers choose the right products. And we believe that a fresh, natural face is just as beautiful as the most made up face. It's true that not every representative is going to be a top seller or achieve the top level of our Leadership program, but every representative has the opportunity to earn a meaningful income. A meaningful income is going to be different for every person. For example, when I first became a representative 20 years ago, I just wanted to be able to buy my own Avon products, eventually I wanted an income that would allow me to replace my part time job so I could stay at home with my daughters. You may be looking for enough extra money to take your kids to the movies a couple of times a month, or you may be looking to support your family solely with your Avon earnings and there are representatives who do both of these things and everything in between. I encourage you to contact me for an interview so we can take a look at your personal needs and situation and see if your goals for an Avon business are realistic. 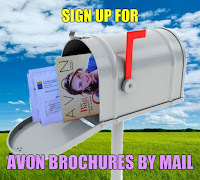 Got Questions about Being an Avon Representative? Contact Me for a no obligation interview.